Developer Andreas Hausladen won the award for the quickest third party update for Delphi XE7 Firemonkey with his unofficial System.ByteStrings patch. He is also the author of the IDE Fix Pack if you don’t have that yet for XE6. Basically support for byte based strings in the Firemonkey mobile compilers (Android and IOS) is probably being phased out and is therefor disabled by default. The patch allows you to continue using these string types in your applications in the interest of allowing you to port old apps forward with less hassle. The string types that this patch enables are: ShortString, AnsiString, AnsiChar, PAnsiChar, PPAnsiChar, UTF8String, PUTF8String, RawByteString, and PRawByteString. The patch is also available for older versions of Delphi (XE4, XE5, and XE6). The patch was created by editing files with a hex editor. I’m not sure but I would guess it may work in AppMethod as well. 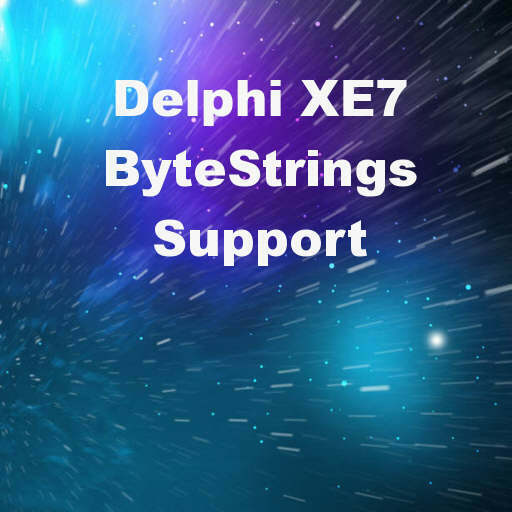 Head over and download the ByteStrings patch for Delphi XE7 Firemonkey if you need access to those string types in your mobile apps.